read more.. "Cabbage Kofta Gravy (Bandhakhopir Kofta)"
read more.. "Besan Chilla (Chickpea flour Pancakes)"
read more.. "Nutella filled Gulab Jamun"
This simple and light fish curry is very easy to prepare and basically a no frills dish. With very few spices this can be made in zippy. Wash the fish pieces. Pat dry with paper towel, marinate with turmeric, salt and red chilly powder for 10-12 minutes. Wash and peel off potato, cut into long and thin strips. Wash french beans and trim from both the ends. Now cut them into 1 1/2 inch, sprinkle some salt and chilli powder on both the vegetables. 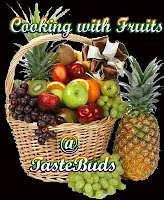 Take a broad frying pan and heat mustard oil till smoking point, reduce the heat and gently lower the fish into the oil. Fry fish pieces on both the sides till it is light brown. Now very carefully without breaking the fish pieces place them on paper to soak extra oil and keep aside. Fry potatoes and beans till they are light brown. Now if you find that oil in the frying pan has turned little brown color you can transfer the fried oil in a bowl and replace with fresh mustard oil to make a nice looking gravy or else you may have to sacrifice with the blackish looking fish gravy at the end. Heat oil thoroughly and add onion seeds and 2 green chillies and saute for 1 minute. Add onion paste and fry till it turns light brown. Add turmeric powder, cumin and chilly powder. Fry for a minute and do no let the masala burn. Now add 1 1/2 cup of water, fried veggies and adjust the salt. cover and let this cook for 5-6 minutes. Gently slide in the fried fish pieces to the gravy, rest of the green chillies, green onions and cover it again for 2-3 minutes. Remove from flame. Add coriander leaves and cover the lid again. Serve this simple, light on stomach fish curry with piping hot rice. Enjoy your meal and do let me know how you felt after relishing it. read more.. "Bengali Style Fish Curry With Vegetables / Rui Macher Jhol Aloo Beans Diye"
Pour milk in a heavy container and let it boil. Add sugar and mix well. Stir continuously on low flame till the milk thickens. In a small cup add custard powder with normal temperature of 1/2 cup milk. Gradually add the paste to boiling milk and stir well. When the mixture becomes thick, stitch off the flame and transfer it to a plate to cool off quickly. Peel off the skin on top before you transfer the custard in serving glasses and keep it in fridge. Take a pan, slightly thaw strawberries and add water. Cook this on low flame for 10-12 minutes. Mix cornflour with little amount of water and pour this mixture in pan. Stir continuously till the mixture thick. Remove from heat and let it cool down. Make puree of this and keep chilled till serving time. Take out the glasses from fridge. Cut the cake slices into bite size and arrange it above custard layer. Now drizzle the strawberry sauce generously over the cake. Drop some jelly cubes on top cover the glasses with cling warp and put it back in refrigerator until chilled. Remove the cling wrap just before you serve your family members or guests this and bask in the glory of compliments showered on you. read more.. "Custard & Strawberry Trifle"
As the name suggests this famous mouthwatering starter is fried in pan. As compared to my earlier post Paneer Tikka in OTG this you can make even if you do not have an OTG. 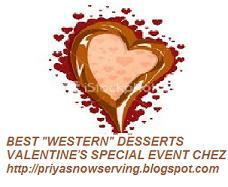 Takes little time to prepare and a sure hit if served in evening parties. Cut the paneer into thick long cubes. Make a paste of ginger, garlic and green chilli. Mix together the hung curd, ginger-gralic paste and all the ingredients of marinade. Mix them gently so that the paneer is well coated with the marinated masala. Keep this in fridge for an hour. Take a deep frying pan, heat oil and fry 3-4 pieces of paneer at a time till they are golden brown on both sides. Place these on a paper towel. Sprinkle chat masala and lemon drops on paneer tikka. Put on toothpicks and serve hot with onion / capsicum rings or with green chutney. read more.. "Pan Fry Paneer Tikka"
I love to making this simple, quick and light on tummy kind of soup. Mushrooms are awesome in soup. So try this soup with your choice of bread. Clean the mushrooms with a damp cloth and chop them finely. Keep aside. In a wok heat butter and fry onions, garlic and ginger and cook till they are soft. Do not let this mixture turn brown. Now add chopped mushrooms. Fry this on high flame for 2 minutes. Now reduce the heat, add tomato and fry for 2 minutes. Add 4 cups of water, add salt and bring to a boil. Let it cook for another 10 minutes after the boil comes. Mix cornflour in 1/2 cup of water and dilute well. Add cornflour paste and cook stirring till it boils. Add vinegar and black pepper powder. Simmer for 2 minutes. Serve hot in bowl topped with butter, flax seed powder and lemon juice. 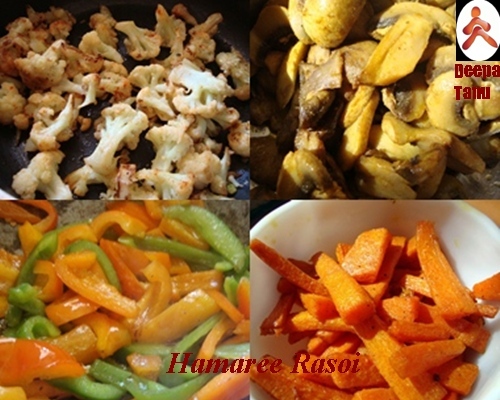 Hamaree Rasoi hit 200 + followers last month ! 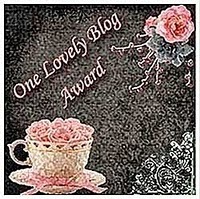 Wow what else can make me happy :-) I mean what a great start of this new year ......Speaking of appreciation I should thank 3 of my blogger friends who have shared 'One Lovely blog Award'. 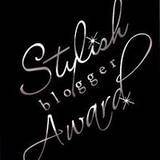 Shanavi has shared one more award with me : 'Stylish Blogger award'. I want to thank Dipika, Shanavi and Ambreen from the bottom of my heart. Each of them has a unique style. 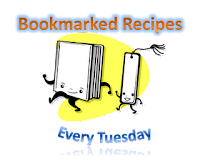 So friends do visit their blogs for incredible bites. Since I already posted these two awards last month so not restricting to pass on this award to my limited friends. So friends please feel free to pick these awards and post in your blog. Thank you once again girls !!!!! Finally, let me express my sincere appreciation to all those friends who have spared some of their valuable time and visited my blog. I really appreciate their gesture. read more.. "Mushroom Soup | How to Make Mushroom Soup"
read more.. "Mixed Vegetables in Cream and Coconut Gravy"
read more.. "Salted Cumin Cookies"